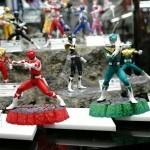 NYCC 2014- Bluefin Tamashii Nations On Display, Power Rangers & Godzilla! The ENTIRE line of Mighty Morphin’ Power Rangers S.H. Figuarts – Red, Armored Red, Blue, Black, Armored Black, Yellow, Pink, Green. Be sure to check back as we keep you updated throughout the day with all items on display at New York Comic-Con 2014! 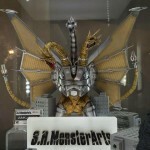 SH MonsterArts Mecha King Ghidorah Official Page Opened- February Release! 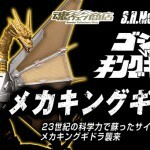 Bandai has put up an official page for the next massive MonsterArts release: Mecha King Ghidorah! 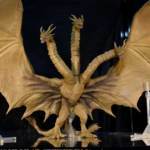 This page confirms that Ghidorah’s newest release will include three miniature Dorat figurines- an excellent touch for Godzilla buffs! The mighty robotic dragon will be up for orders starting August 22 with an anticipated release in February 2015. The price is a steep 19,440 Yen before shipping & handling. Definitely a lot of coin but probably worth it for such a beautiful figure. 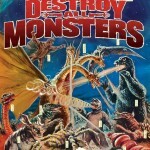 Among the solicitations for Tamashii Nations products next year is a figure many Godzilla fans have been eagerly awaiting – the mighty Mecha King Ghidorah from the 1991 film Godzilla vs. King Ghidorah. 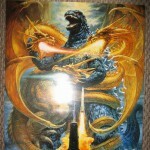 This future tech powered version of Godzilla’s greatest rival has already been seen on display, and will be released as a Tamashii web exclusive in February 2015 for a whopping 19,940 yen. 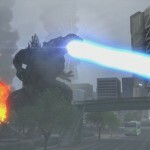 Are your wallets ready for this cyborg monster? Check out the full selection of images after the jump!